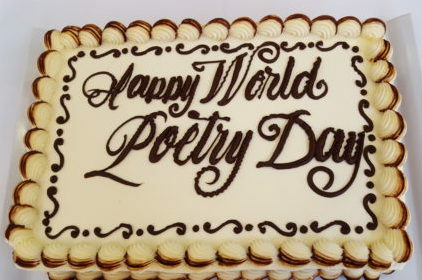 Yesterday, Prairie Fire and CV2 celebrated World Poetry Day with a reading at McNally Robinson and cake! We were treated to readings by three local poets and two Slam poets out of Glenlawn Collegiate. Here are some pictures from the celebration. Thank you to everyone who came out to celebrate with us!